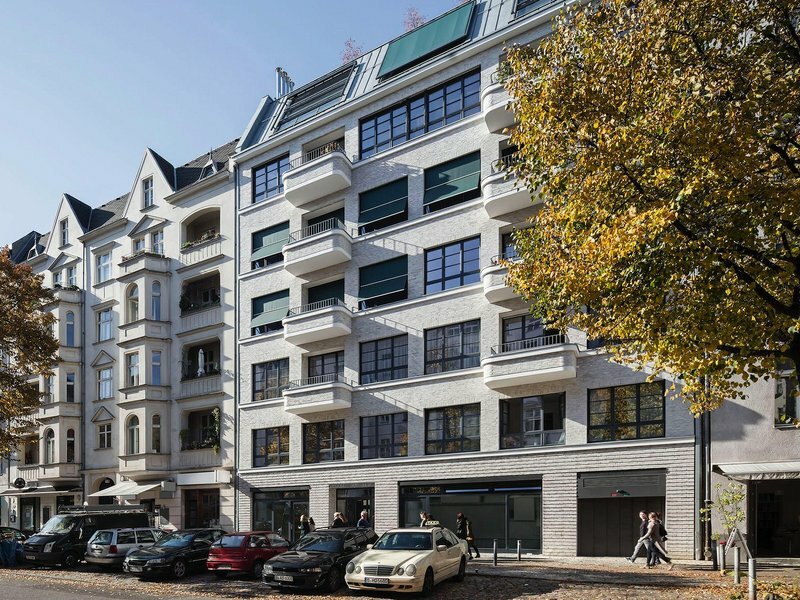 The new building is located near Savignyplatz in the middle of the pulsating city life of Berlin-Charlottenburg. A great number of bars, galleries and design stores can be found in the direct neighbourhood, making this a meeting point for artists, writers and intellectuals. 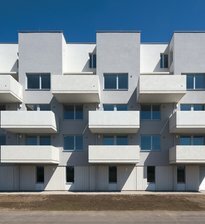 Building the new residences was a great opportunity to create something new while also reflecting the architecture of the surrounding Berlin period buildings from the early 20th century. The new design reinterprets the timeless loft style of the big cities in a modern language and refers to the neighbouring houses by emulating their eaves height, loggias and roof shapes. A special feature is the Atelier house in the courtyard with its spacious studio apartments. These loft-like apartments are arranged around a central core. As a result, residents will be able to adjust their daily routine to the natural lighting on three sides and additionally have a spectacular varied view onto the neighbourhood. All apartments are additionally oriented toward a remarkable large private garden that is available to residents as an open space for relaxation in middle of the city. 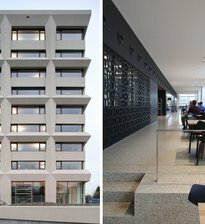 The placement of the two houses opposite one another allows the residents to look out at the project’s own elaborate façade design. This is realised in a subdued, fine engineering brick, creating timeless and sustainable architecture from both the ecological and design standpoint.